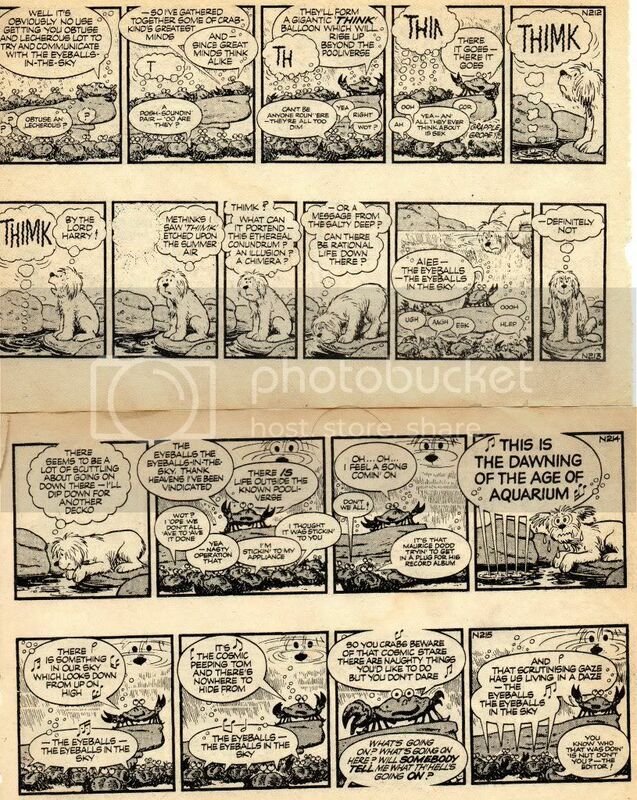 I would be interesting to know if anyone else out there enjoys the selection of newspaper strips currently out in book form. For example there is an excellent Hagar the horrible hardback book just published. Best of Alec which is a really fuuny strip. Best of Mac and Matt are out there as well, make great stocking fillers. I order them from Amazon and then present them to myself on christmas day. I ordered the import 'complete MAD DON MARTIN'----- [it's the same 'bumper' format as the heavy-duty 'complete CALVIN AND HOBBES]--- and it's been a real struggle having the willpower needed to stop myself from tearing open the cellophane to get to the goods. It's currently out of sight in a wardrobe. I am hoping to save the grand opening for Christmas day.....I did the same with the epic 'History of the BEANO' last year. I will look out for this HAGAR book....fantastic strip. postscript-----just checked it out-----I quite fancy this....the first complete 2 years of the epic HAGAR saga. [well, the dailies anyway---it doesn't mention the SUNDAYS]. I got the Don Martin volume last christmas. I recommend that you be patient, its a cracker, and deserves an occassion such as christmas to be opened. No need to tell you that the quality of the volume is up there with the best. Heck youve got a helluva of a bargain I-spy.I got mine at Â£55 of the web and at the time it was Â£25 cheaper compared to anything else so I was quite chuffed at the time. I was in Forbidden Planet Belfast on Thursday night past and I kid you not but the price was Â£95. Its a smashin book to have. I read a couple of years ago that the next one was going to be on the Mad artist Jack Davies but there has been nothing since I guess the recession put paid to that as they are obviously not cheap too sell. wow..that was a smart move I made a few weeks back, regarding the DON MARTIN set: I guarantee it's brand-new, [it's shrink-wrapped, as I said earlier]: AMAZON postage rates are reallly reasonable, considering a lot of their best stuff is imported from the US. The FAR SIDE anthology deluxe-set is available here in Scotland, but it costs a princely 100 quid. Quality is very good though, noticably better than the individual volume sets I have. Remember to look out for Don Martin's many Mad paperbacks as well (especially those which featured the sublime Captain Klutz!). They contained material which never appeared in the magazine (and therefore isn't in the 'Complete' collection either! ) and included some of his best work ever. What's more, because the material isn't owned outright by Mad they're unlikely to be reprinted anytime soon! your advice is noted, Phil, and if I become a MARTIN addict [which is entirely feasible], I will seek out the 'missing treasure' you outline. The HAGAR book is in hardback, I think, and if it's similar to the 'PEANUTS' 2-year volumes sets, this is a must for me. The volume is available for around a tenner online: possibly the shop prices are a bit more steep. 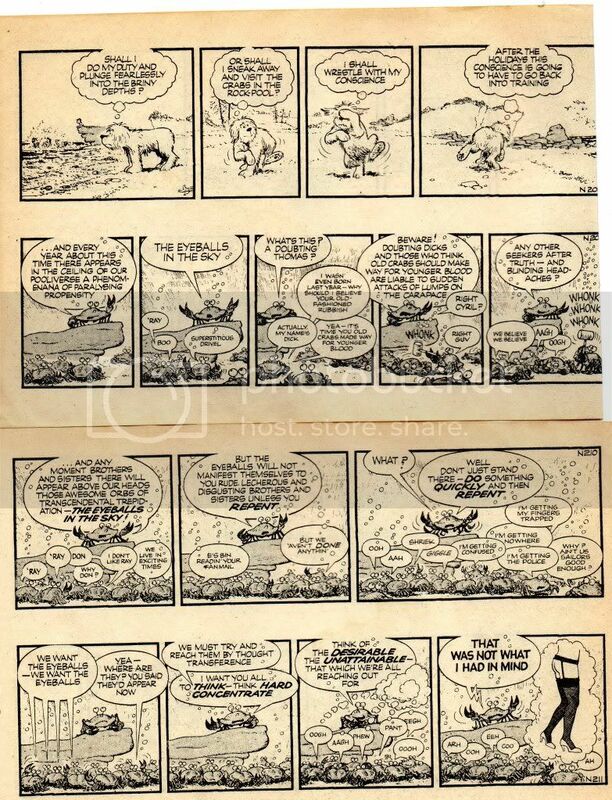 The early HAGAR strips by creator DIK BROWNE were by far the best: today, the strip still looks identical to the original-----it's now in the hands of his son Chris, clearly.....but the strip is a bit bland and restrained compared to the early years, in my view. I'm a newspaper strip fan, too-though sadly most of my favourites aren't still around. My personal top five-though not necessarily in this order-would have to be Axa, Garth, Striker, George & Lynne and the wonderfully witty The Perishers. Hagar has never really gripped me for some reason. I loved the FRANK BELLAMY 'GARTH', Tony, of the early 70s......a bit sexist, granted, but mysterious and otherwordly....great memories. I had a Garfield book a few years ago, mostly with 1980s strips. Most of the strips were the longer Sunday ones, but there were a few three-panel strips as well. I remember seeing a Calvin and Hobbs book as well, but I didn't read it. this is the first time I've seen the 'great eyeballs in the sky' sequences for many years, Tony.....this featured in a lot of the early 70s strips [a time when I read the Perishers regularly.] Great to see this humour again, and I will be saving these images. Last edited by ISPYSHHHGUY on 12 Oct 2009, 18:38, edited 2 times in total.